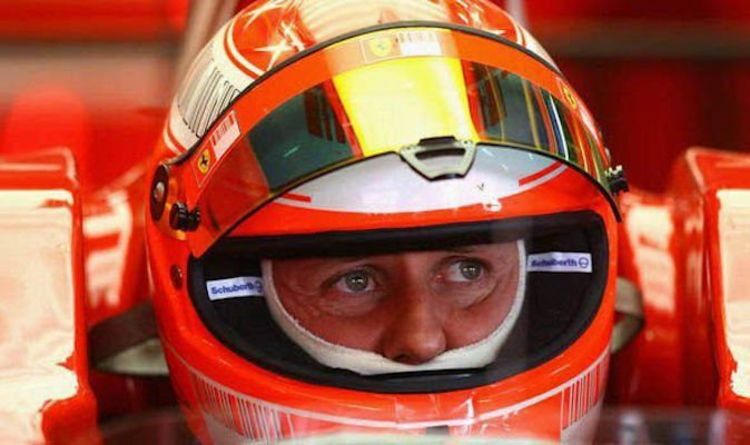 The Ferrari racing driver has left a void in the world of Formula 1 racing, after suffering a traumatic brain injury following a horrifying skiing accident in December 2013. The seven-time F1 World Champion is one of the world’s most revered drivers, with many fans and fellow drivers calling for his return to the sport and desperate for an update on his condition. But after his wife sent a rare letter on Michael’s condition, and his son Mick publicly spoke of his admiration for the legendary driver, another of Michael’s family have spoken of their fondness for the driver. Michael’s step-brother, Sebastian Stahl – who like Michael started his career in kart racing before moving into Formula race categories in 1996 – has spoken about his respect for the racing legend. He described the sporting legend as a “very good friend”. He told VIP.de: "I already did motor sports before I met Michael, but Michael was always an idol for me and at the same time a very, very good friend," Sebastian reveals to "Vip.de". Michael himself was a keen motorcyclist, with his step brother influenced by the Michael’s magic on the racing track. Mr Stahl said: "Having motorcyclists in the family at all was a huge honour, and sometimes I thought, “is that real”? Five years on from the Michael’s accident, updates on the motorsport hero’s condition have remained sparse. In the run up to the five-year anniversary of Michael's traumatic accident, Schumacher’s wife, Corrina thanked well-wishers around the world for supporting the family through “a difficult time” - but described her racing legend husband as a “fighter". Mrs Schumacher said to Hamburg composer Sascha Herchenbach: "I would like to sincerely thank you for your message and nice gift that will help us through this difficult time. And earlier this month, Michael’s driving teammate Sebastian Vettel told media how he “missed” his friend. If is fast approaching the fifth anniversary of Michael's accident, which took place on December 29, 2013. The Ferrari legend was placed in a medically induced coma for six months until 16 June 2014.